Jenn Collins, L.Ac, MS is a nationally board certified and Oregon licensed Acupuncturist with a masters degree in Oriental Medicine. She has been actively practicing Acupuncture and Chinese herbal medicine since 1999. 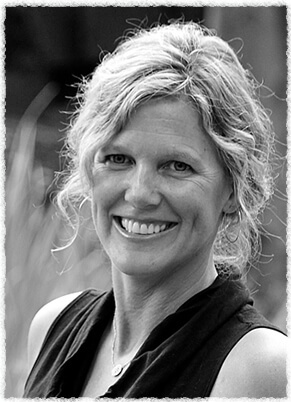 After practicing in Boulder Colorado for two years, Jenn moved to Ashland in 2003 and opened Ashland Holistic Health. In 2016, she opened Holistic Health Acupuncture (formerly Medford Holistic Health) with colleague Jenny Riegg L.Ac. In 2017, Jenn Collins and Jenny Riegg began offering acupuncture at the La Clinica Wellness Center in Medford, OR. Jenn has dedicated her efforts to holistically address a wide variety of health concerns. Her practice primarily focuses on family health with an emphasis on women’s issues, pain relief, digestive disorders, and preventative care. She also has undergone hundreds of hours in specialized trainings in women’s health, fertility, and pregnancy care. She has helped countless couples on their journey of creating a family. She is a member of the Natural Fertility Network, a team of fertility specialists working together to offer couples the best natural healthcare options for infertility. Jenn is easy to talk to, compassionate, and an expert in her field. She is committed to providing a balanced, well-rounded health care experience for the entire family. Prior to her pursuits in Oriental medicine, she worked as a professional botanist in southern Oregon, and led expeditions for Outward Bound. Her love and knowledge of nature are in integral part of how she practices medicine. Her approach awakens the innate wisdom of the body to heal and maintain wellness. She is passionate about helping her clients achieve optimal health and balance. Jenn currently lives with her husband and two children in the foothills outside of Ashland, Oregon. Jenny Riegg L.Ac., MTCM, Dipl. O.M., is a nationally board-certified acupuncturist, licensed in both Oregon & California. As a Chinese Medical Practitioner she works through an integrative medicine approach aimed at bringing balance through comprehensive health care that utilizes the wisdom of traditional treatment methods coupled with modern medical insight. Rooted in a deep reverence for nature as a guide towards sustained health, her practice incorporates acupuncture, Western & Chinese herbalism, diet, nutrition and lifestyle recommendations. Jenny feels strongly about encouraging patients to take an active role in their health care, creating individualized treatment plans that stretch beyond the clinic visits to help foster balance and resilience. Her connection to holistic healing weaves over a decade of work, study and teaching delving into botanical herbalism, traditional nutrition therapies and Oriental medicine. She received her Masters degree in Traditional Chinese Medicine at Five Branches University in Santa Cruz, CA. Jenny’s practice specializes in women’s health, fertility and obstetrics. She provides effective and compassionate treatments for conception, ailments during pregnancy and post-partum, hormone imbalances and menstrual & menopausal support. Her general practice includes acute and preventative care treating pain & injury, mental-emotional wellness, and pediatric conditions. Vanessa Hajje, L.Ac. has been treating patients in the healing arts since 1997. 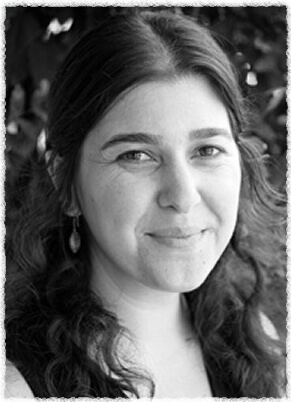 She is a nationally board-certified acupuncturist, licensed in Oregon. Initially Vanessa began her healing journey as a licensed massage therapist and then became a certified Vinyasa Yoga instructor. 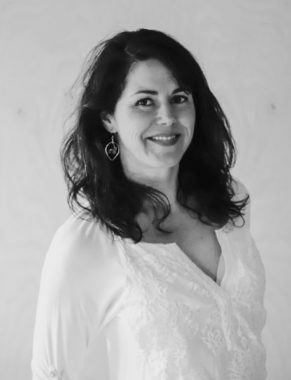 Working with the body in this way lead Vanessa to Traditional Chinese Medicine and in 2002, she earned her Master’s Degree in Traditional Oriental Medicine from Emperor’s College in Santa Monica, CA. Each acupuncturists brings a unique set of skills, knowledge, and experience to their practice. Vanessa’s goal is to support every clients health and longevity through active listening, tailored protocols, patient education, and herbal therapy. She is proud to be a new member of the Holistic Health Acupuncture team and currently welcomes new patients at our Ashland Location on Mondays and Wednesdays.